A water gap or off-site watering could remedy this situation. 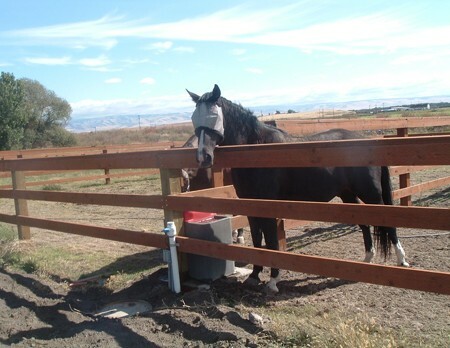 This project helped the landowner install fencing and off-site watering. Nose-pumps can be a low-cost efficient solution. Farmers used to fence their stock near year-round creeks, so their livestock could always have access to cool, clean water. Unfortunately, this practice meant the animals’ waste also found its way to clean water. 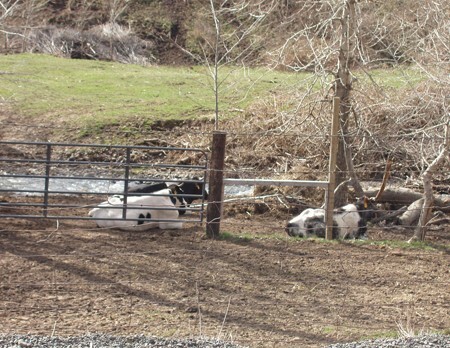 If manure from livestock, including horses, comes into contact with surface water, then the operation may come under regulation from the Department of Ecology. The District is here to help landowners determine what actions (if any) should be taken to protect water quality. 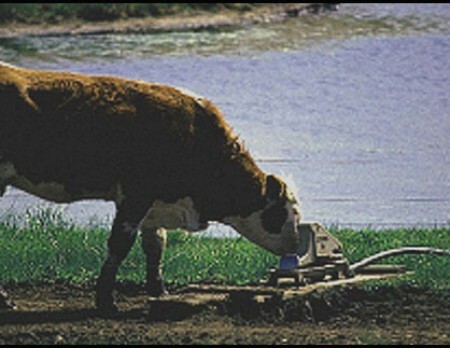 Do all livestock obtain drinking water from a water bowl, water tank or automatic waterer? Are hardened water gaps used for livestock access to water? Is manure stacked or stored under cover? There may be NRCS funds available to help landowners address these livestock impacts. The CREP program offers solutions to many livestock-related concerns. As always, landowners’ interest and /or applications for funds are confidential and protected from disclosure to enforcement agencies.